American Football as it’s called here to avoid any confusion with the other sports that relate to the ball being kicked rather than thrown as is the case with Football American Style. I played the game here in Ireland in the Mid 80s as it was seen as the new kid on the block as Both Channel 4 and RTE were giving us a Weekly edited highlights package of this strange game played across the Pond in the US of A .Magazines also started to appear on the shelves of Newsagents and this also added to the hype the game was getting. The NFL feed into this and sent the Dallas Cowboys and Chicago Bears over to England to play a pre season game in Wembley London in 1985,This was the start of the Football revolution in my humble opinion .WLAF and NFL Europe followed, but slowly the interest died in Britain and Ireland and only for Germany and Holland the project of NFL Europe would have disappeared long before it did. Roll on to the late 2000s and again the interest appears to be on the rise again, and the NFL again is the engine driven this interest .Game are now being played in Wembley that actually count against a team’s league standing. This has in a way made it’s way across the Irish Sea as new fans embrace the opportunity to jump on a Aeroplane or Boat from Ireland to watch the real deal rather than travel all the way to America to do the same. 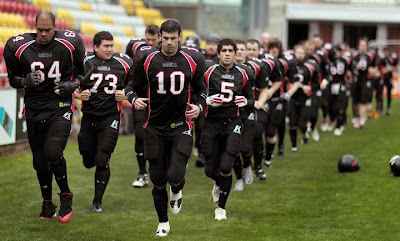 Ireland has also been active in regards to getting some of the benefit’s that hosting American Football games can bring. Navy V Notre Dame was played in the Dublin in early September of this year .I had the opportunity to go to the game and I have to say it was a day out I will never forget ,even the weather behaved itself. The game was a blow out for Notre Dame but the events leading up to the big game are also worthy of mention. 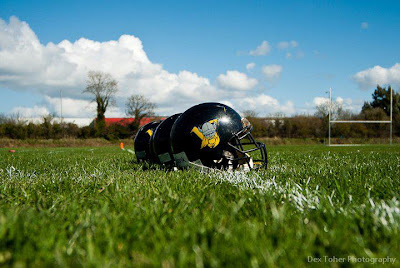 High School teams from both the US and Canada played games at different venues around Ireland and it appeared the feedback on these games was very positive .This was also a great way to let communities see the game up close and see and hear the effort given by both teams. This was also a great opportunity for teams from both America and Canada see for themselves the interest of the game played beyond their shores and to help grow friendships that will be part of their lives until the next time we hopefully see them set foot on the shores of Ireland. 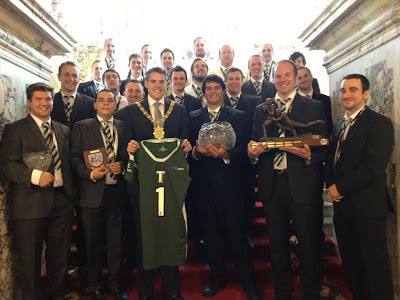 The success from all of this was not lost on the Government and last November had a delegation from the NFL look at holding a game here in the near future in Croke Park avenue in the Centre of Dublin. The fact the American Ambassador to Ireland Mr Rooney is also the owner of the Pittsburgh Steelers we live in hope that the team may play a game here in the not to distant future. 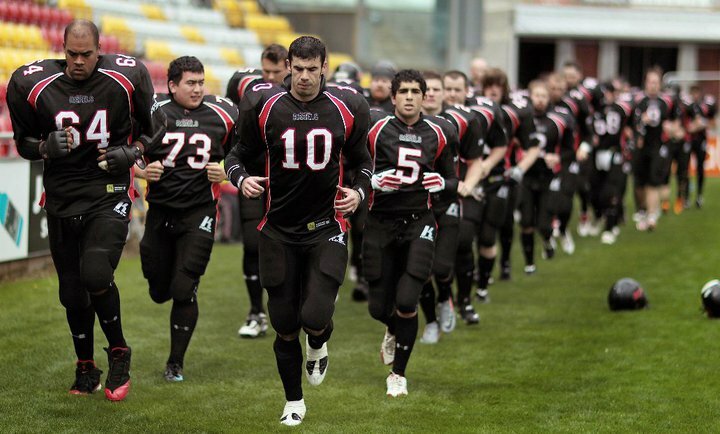 The IAFL which is the Governing body of American Football here in Ireland has just announced that they have received a record number of requests for teams to join the League next year.This is great news for both fans and players of teams already playing in Ireland. The reason I say this is the teams that are in place have a huge role to play in the development of the League and the new teams will look to them for Guidance as I’m sure there are pitfalls and other issues that they can help the new teams avoid. The added competition will not yet be up to a standard to compete with the top eight teams in Ireland and they will play in a League Division/s that other teams will be of the same standard or near enough as possible .Coaches will play a big part in the development of players both on and off the field. There is great excitement within the new teams submitting their application to the League after they laid foundations that they hope will one day will help them lift The Shamrock Bowl. Administration staff will also be needed as these people play a very vital role in the growth of the Clubs within the Community and Cities they will play. This is a huge part of the sport that sometimes doesn’t get the attention it deserves and history has shown at your peril neglect this part of team building. I was lucky to say I played on a team that had one of the sharpest Administration minds in Ireland at the time and their forward thinking and a work ethic was second to none. They set a standard off the field for our Club to be the best in Ireland that thankfully we were able to achieve . The future is bright for the game here in Ireland, and with the people in place, and the others who have yet to set foot on our Island who will help keep this great game in our Communities for many years to come we thank you .